Given the recent interest in diversity statements as part of the academic job packet, the following introduction can help you get started on crafting your own diversity statement. A diversity statement is a 1-2 page essay describing your commitment to and contributions in diversity, inclusion, equity, and justice in your past and future research, mentoring, teaching, and service activities. From the perspective of the search committee and institution, the purpose of a diversity statement is to identify how the job applicant can contribute to a culture of inclusion in the department and campus community. When evaluating your contributions to diversity, inclusion, equity, and justice, consider underrepresented groups such as ethnic or racial minorities, women, LGBTQIA, first-generation college, nontraditional students, people with disabilities, or people from underprivileged backgrounds. Your primary audience is the search committee. The search committee’s goals are to determine if you share their values for diversity and inclusion, how your plans for inclusion fit into the department, and whether you will take the department into an exciting future in diversity, inclusion, equity, and justice initiatives. A secondary audience is the institution itself. The institution specifies the goals for diversity and inclusion on campus. Individual departments then determine which initiatives to adopt to achieve the institution’s goals. Places such as the Center for Student Diversity and Inclusion on Georgia Tech’s campus are great sources of information for determining how the campus values diversity. The above information will help you cater your diversity statement to the needs of the department and institution by gauging how you already fit into the department and institution’s diversity and inclusion goals as well as ways you could contribute to needs that are not currently being addressed or met. The job application may suggest a specific topic to address in your diversity statement. The following requests for diversity statements were taken from job announcements posted in 2018 for lecturer and professor positions. A diversity statement of no more than 500 words that provides an understanding of your capabilities to address diversity in support of CSUF’s diverse student and community populations. Please discuss, where applicable, how you have addressed diversity in your teaching, research, and service. Personal statements that summarize leadership experience and contributions to diversity are encouraged. Purdue University’s College of Veterinary Medicine is committed to advancing diversity in all areas of faculty effort, including scholarship, instruction, and engagement. Candidates should address at least one of these areas in their cover letter, indicating their experiences, current interests or activities, and/or future goals to promote a climate that values diversity and inclusion. Candidates should show evidence of sensitivity to, and understanding of, the socioeconomic, academic, cultural and ethnic diversity within the college student population, including students with physical and/or learning disabilities, as these factors relate to differences in learning styles. Ideal candidates will have recent experience working with African American, Latinx, Native American and other racially minoritized students in the classroom, and a willingness to use culturally responsive instructional practices. Candidates should also demonstrate sensitivity to issues of diversity and have the ability to motivate and teach community college students of diverse ethnic and racial backgrounds, sexual orientations, genders, cultures and learning styles, as well as students with disabilities or varied levels of academic preparation. Statement of Contributions to Diversity, Equity, and Inclusion – Statement addressing past and/or potential contributions to diversity, equity, and inclusion through research, teaching, and/or service. A separate statement describing your past efforts and future plans to promote diversity and inclusion. 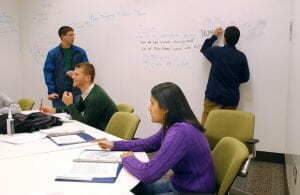 Examples of contributions to diversity include, but are not limited to, developing strategies for the educational or professional advancement of students from underrepresented groups; efforts to advance equitable access and diversity in education; and activities such as recruitment, retention, and mentoring or advising of underrepresented students or new faculty. The beliefs and values section includes how you value diversity, inclusion, equity, and justice in higher education as well as your understanding of the barriers that exist for underrepresented groups in your discipline. This section should be approximately 1 paragraph in length. This may also be a point where you self-disclose how your identity has shaped the actions you take in your research and lab, classroom, or service commitments. However, identity disclosure could result in potential bias during the hiring process. You will have to decide whether you want to disclose your identity in a way that indicates your race or ethnicity, gender identity, sexual orientation, age, or disability. The past activities section includes the specific activities you have conducted in your research, mentoring, teaching, or service that contributed to diversity and inclusion. This section should be approximately 1-3 paragraphs in length. This section should not read as a laundry list of committees and achievements – that belongs in your CV. Rather, your list should be woven into an overall narrative that supports your beliefs about diversity and inclusion. The following are examples that fit within each category of past activities. The future plans section includes your plan to contribute to diversity and inclusion at that institution. This section should be approximately 1-2 paragraphs in length. The future plans section should follow the research-mentoring-teaching-service model described in the past activities section but situated in the future at the institution and department to which you are applying. Your diversity statement is a professional document that should be written concretely, clearly, and concisely. The document should be woven into an overall narrative, rather than appearing as bulleted lists of values and activities under headings of beliefs and values, past activities, and future plans. The writing should also be inclusive and authentic. Here, inclusive writing means being respectful and understanding of the needs of underrepresented students in a way that appears supportive rather than patronizing or exclusive. Focusing exclusively on how you value diversity without having a set of actions that supports your values may also make your diversity statement appear disingenuous. Schedule a consultation with CTL staff to get feedback on a draft of your diversity statement. Beck, S. L., (2018). Developing and writing a diversity statement. Vanderbilt University Center for Teaching. Reyes, V., (2018). Demystifying the diversity statement. Inside Higher Ed. Thomas, H., & Hirsch, A. (2016). A progressive’s style guide. SumOfUs.